Over on hitched.ie today I've blogged some marriage advice that some friends and family have shared with us. One of those happy couples is my Mum and Dad. Their story of meeting, falling in love and marrying is oh-so-romantic so I thought I'd share a bit of it. Before my mum was an amazing Midwife, she was an Air Hostess flying with small airline to The Shetlands. My Dad was working in the Shetlands for a while, and although I'm not sure of the exact ins and outs of the situation, I believe they met when Mum had to pretend Dad was her fiancé so he could get back to Scotland during an air traffic controllers strike. She knew nothing about him except the name on his ticket! They met up a few times in the Shetland Islands but then lost touch and a random Christmas card reunited them 3 years later. How very RomCom! Within a year of this they were married in Scotland (where Mum grew up) despite having only been in each others company about 13 times! 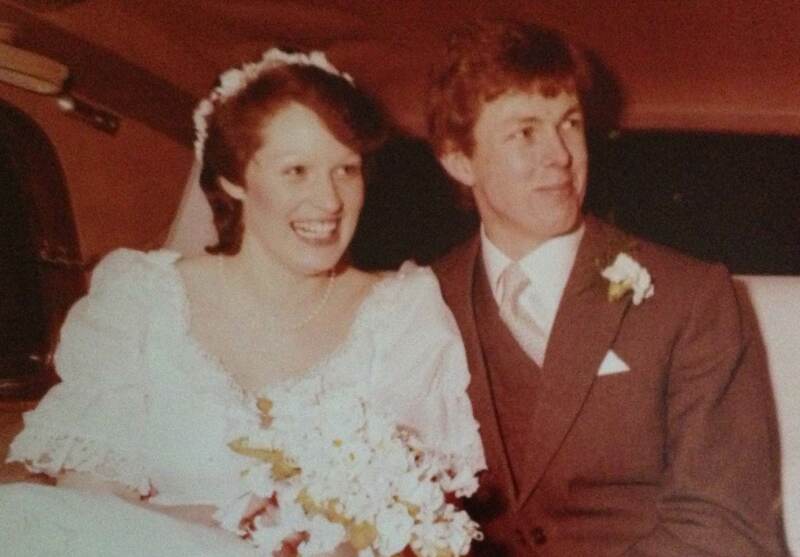 They'll have been together thirty years this December!! I can only hope that our marriage is as strong as theirs and I wish them many, many more happy years together!